CLICK on the link below for category with NEW items. Our hours are irregular at this time. Please call first. We are pleased to have your business! 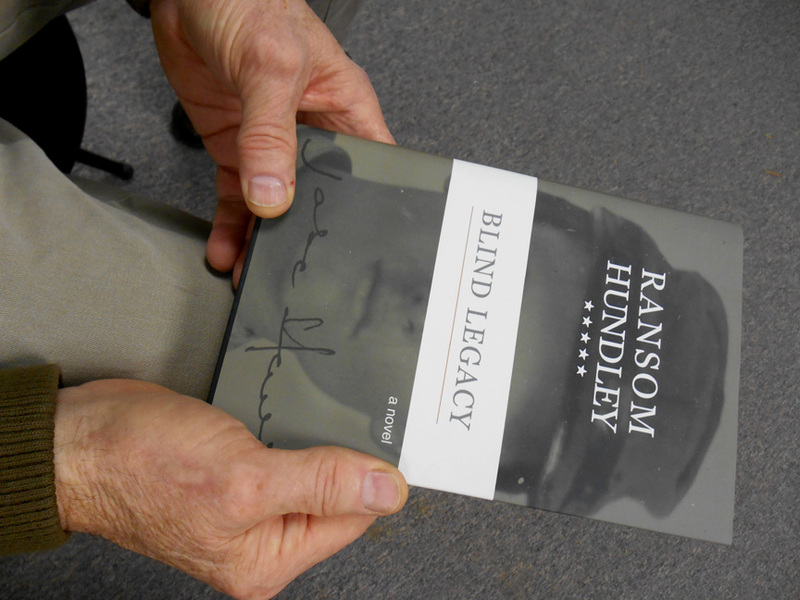 Ran's hard cover novel is in hand at Sgt. Riker's just in time for your Christmas purchase. Yours for $22.95 with author's autograph and/or personalized inscription. You will enjoy hours of history, humor and wartime excitement. Still available as a digital download on amazon.com. When we started our business many years ago we wanted to create a Civil War store that a customer could visit and purchase items with complete confidence, which explains our motto "Authenticity Never Expires". I began metal detecting in 1972 using a Metrotech. Remember that one? I've been rewarded by finding relics of every description. Through the osmosis of "feel and touch", I've developed a good baseline of experience coupled with a significant amount of knowledge regarding the authenticity of artifacts. Are there people out there who know more than I do? Absolutely! And their number is many. Do I consider myself an expert in judging Civil War artifacts? Nope! I do not. And I do not hesitate to defer to those specialists who have assimilated knowledge beyond my limits. Having said that and two amens, please allow me to mention what I bring to the table. Buy with absolute confidence! The buck stops here. There is no time limit on authenticity. It is a principle that has no expiration date. (Well, not quite true. When I die, the guarantee stops.) Until that time, you may return any item for a refund if you are not happy with it for any reason. Buyer will pay return shipping and insurance. I will lose listing fees/any profit made on the item. Refund will be in full (less a 10% restocking fee) if the item is returned in the same condition in which it was purchased. If cleaned, altered or damaged in any way, it will be returned to you and our guarantee will not apply. I once managed a jewelry store whose motto was the customer is always right. I still retain that mentality and will bend to the wishes and needs of the customer more than most. Simply stated, I go that extra mile in order to facilitate a customers specific needs. Its not just my promise; its my way of doing business. 3 Prompt shipping and reliable tracking data. Unlike some you may have dealt with, I will do everything possible to ship promptly---and without tacking on heavy handling charges. I will never tell you an item " has already been shipped" unless it has. If I run into situations of supply that are beyond my control, you will be alerted and offered an immediate refund, so you may purchase elsewhere. Please view our detailed ordering information. You may contact me either by email (elrandino@sgtriker.com) or telephone (804-798-6848) to discuss the particulars of an artifact, metal detector, or anything that I sell. Click this image for a listing of additional members of the community and links to their websites. Ive been selling on ebay for 10 years now and have kept a good reputation in spite of them. (CSknucklesamich). Please review our feedback record!